Brief update on my fruitful Sunday~ After a tiring Butterfly Walk with the Butterflies, I managed to stay awake for Mary Quant Workshop. It was fun and I was excited to see the ladies again. It's been such a long time for me to attend an event and pamper myself in a workshop. 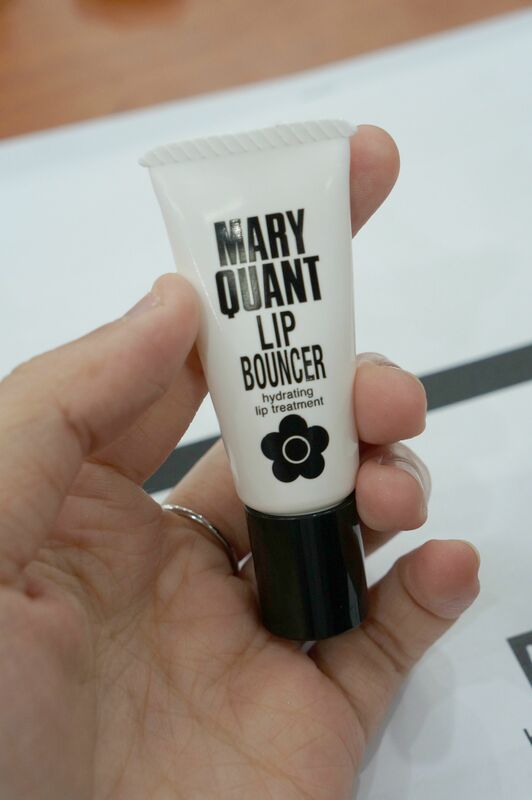 Mary Quant is a cosmetics brand from UK and was brought to known by the founder, Mary Quant herself. She's a fashion creator who is famous for inventing the miniskirts. She decided to bring fashion to faces and created a sense of look with makeup and fashion. Her brand signature: Black Daisy symbolises the freedom of women brought by Mary Quant, who continues creating new concepts of beauty by defying stereotypes. 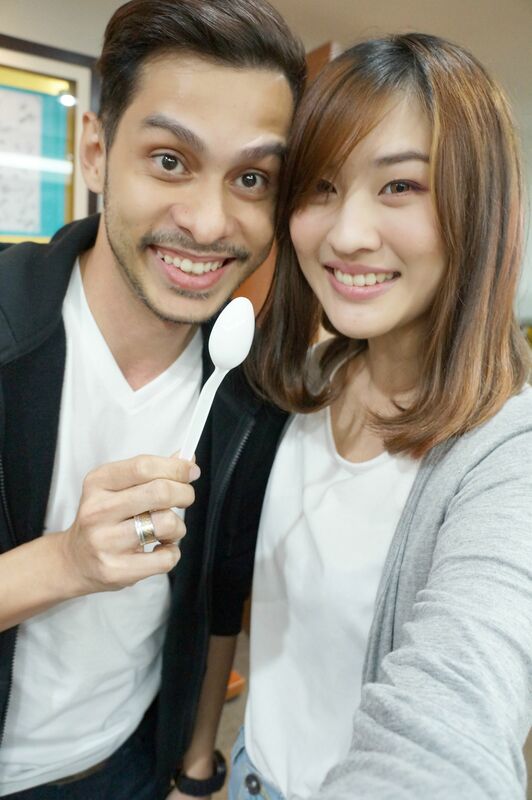 The instructor of the day is Ms. Takaki and beside her was the model of the day. 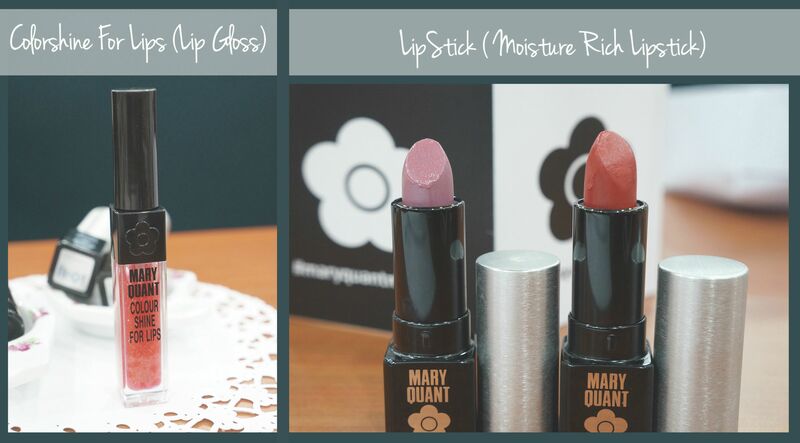 She gave us an insight of using Mary Quant products. This is to hydrate the skin and keep the skin moisturize at all times. 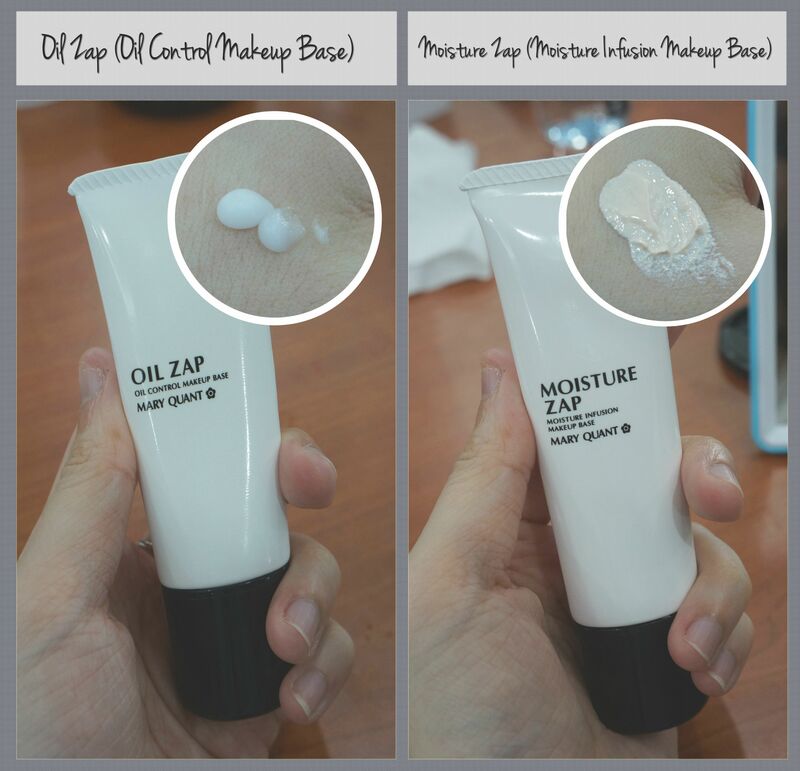 Oil Zap provides a matte finishing and controls shine due to excess sebum. Spread it on the oily areas especially at the T-zone area. Moisture Zap on the other hand, moisturises and helps the makeup to stay longer. Do not mix this with Oil Zap because each of them provide different finishing touches on the face. 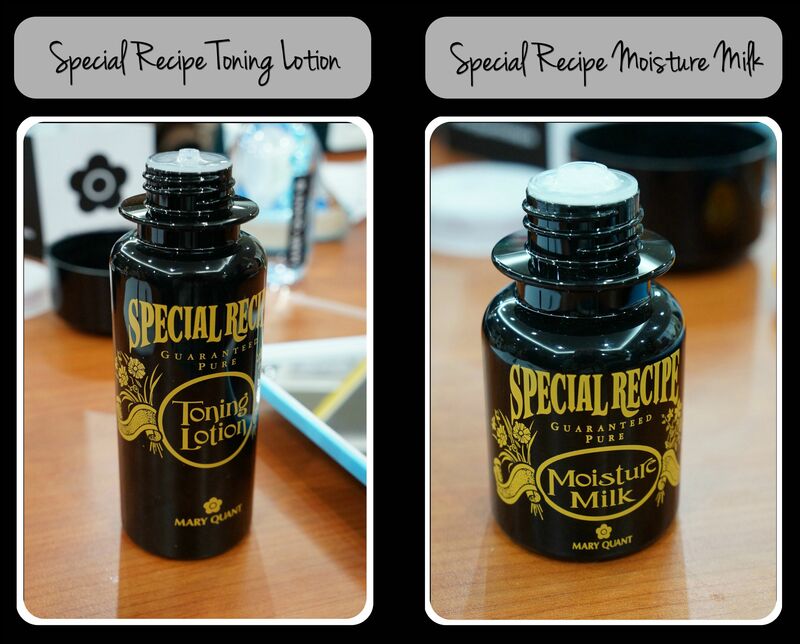 Moisture Zap enhances skin tone and make your skin look naturally smooth. 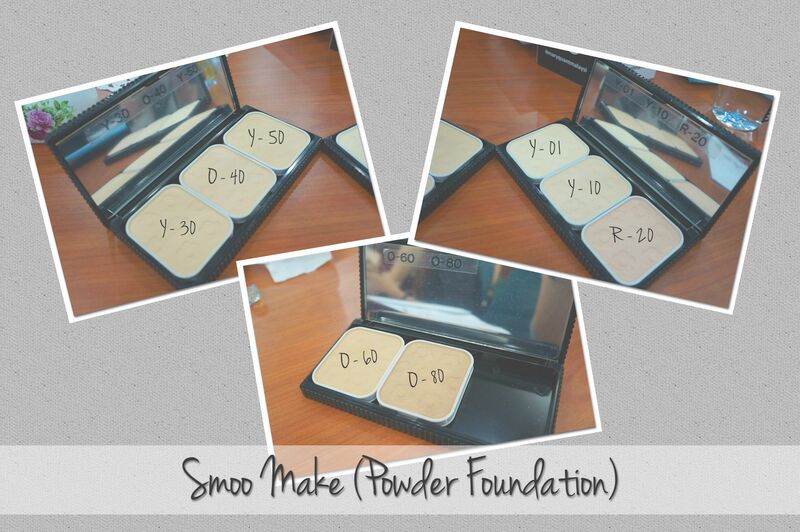 Smoo Cake helps to control shine and create a radiant, smooth skin. If you are having trouble on choosing the right tone for your foundation, always choose one tone lighter than your skin. You can test the shades at your cheekbone. I'm using Y-10 shade for my skin. 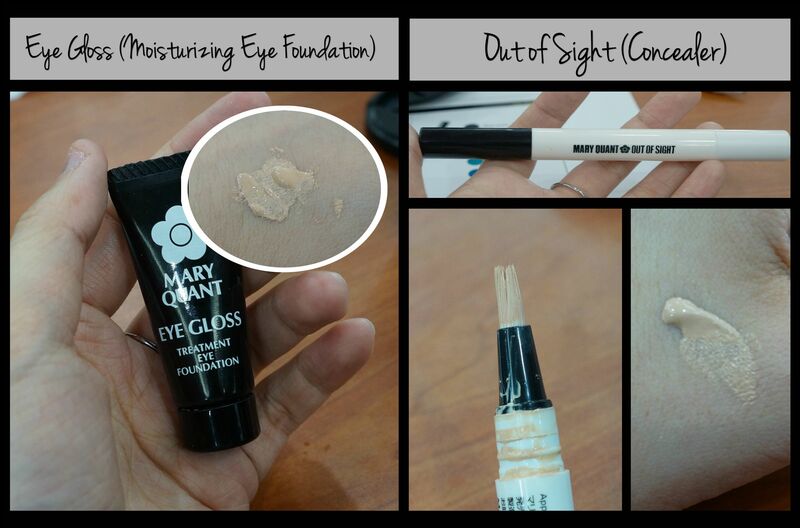 Eye Gloss is a special eye treatment foundation by Mary Quant. 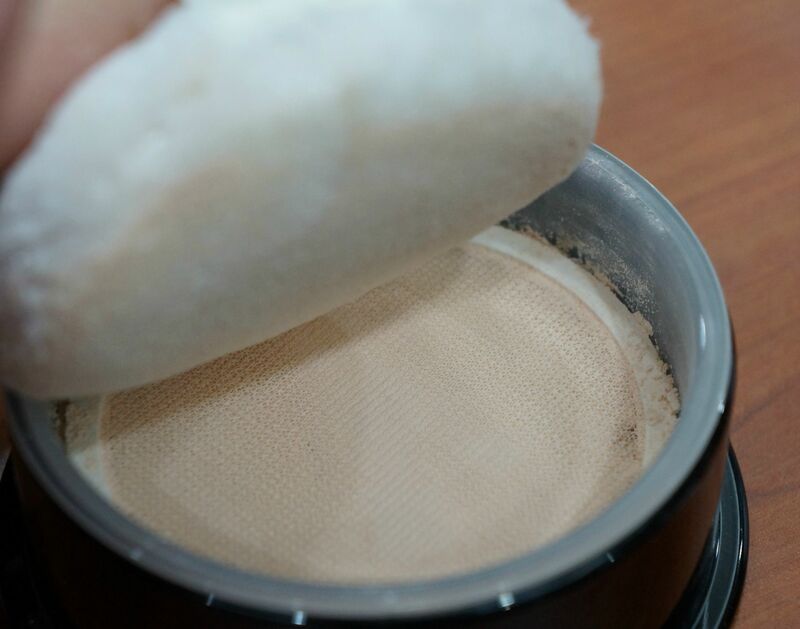 It covers dark circles and dullness. It also make the eye colors to become more vibrant. Out of Sight is a concealer to hide blemishes, freckles, dark circles and dullness. You will need to turn the dial before use to ensure the brush holds the appropriate amount of liquid. The loose powder comes in 4 shades: Sheer Satin, Light Lucent, Natural and Sheer Gold. Sheer Satin and Sheer Gold has fine shimmer that makes your face looks brighter. Light Lucent and Natural shades make your skin look fine textured and even toned. This is the hardest part of all, I tend to make myself look like Shin-Chan if I were to draw my eyebrows. I can never get the technique right. 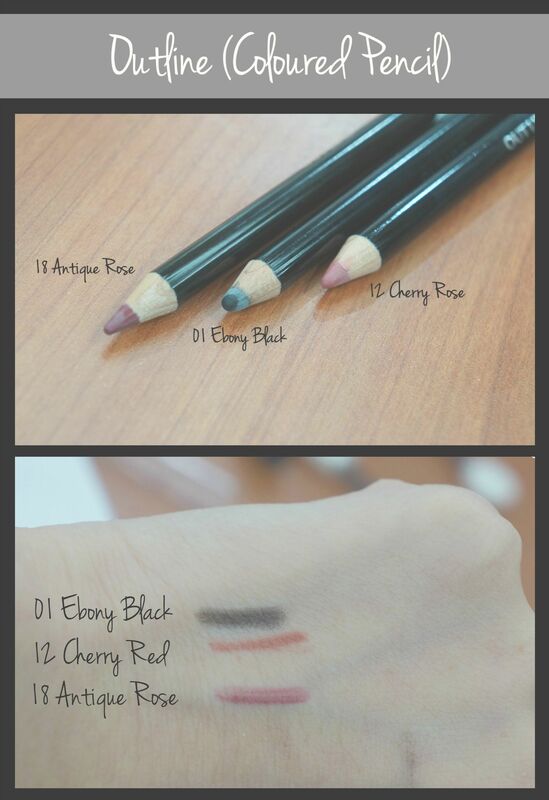 Anyway, there's 3 colors for you to shape your eyebrows. Always match your eyebrow color with your hair as you do not want to loo awkwardly weird with darker or lighter eyebrows. This is the fun part of all. Colors are fun to mix and match. Different pressures and techniques can result in different look. 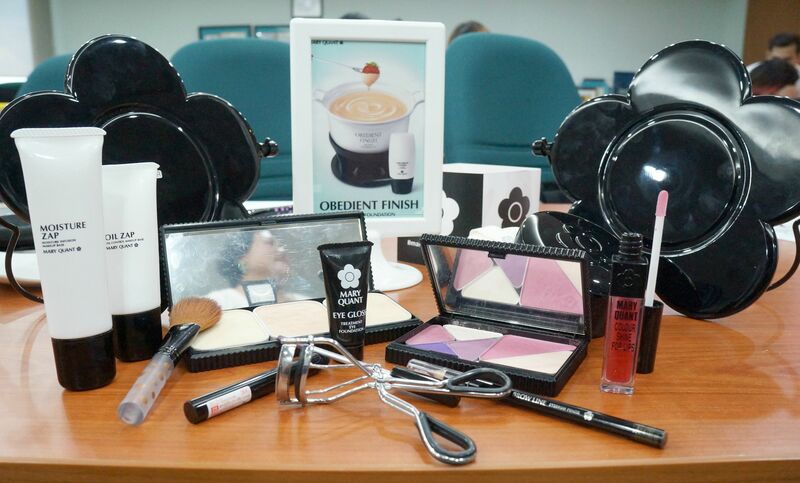 Mary Quant Eye Opener has 50 shades available and you can customize your own eye palette! Blush is needed on the face to bring more the liveliness of your makeup. 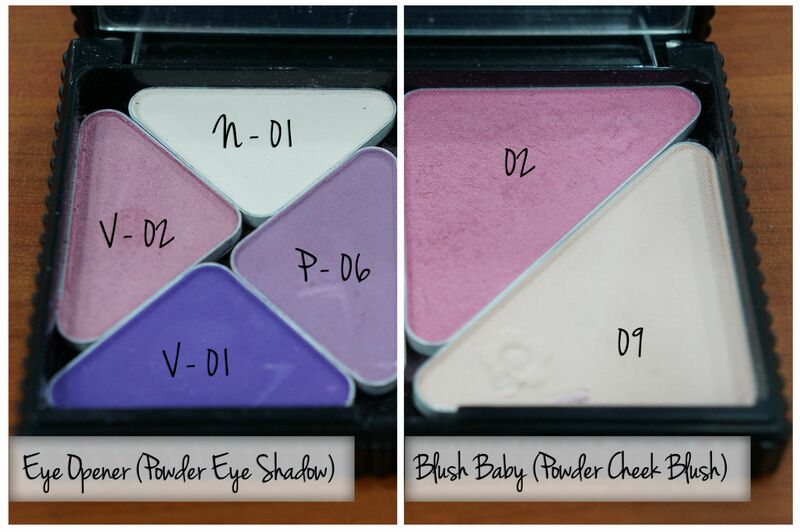 Blush Baby has 14 shades to choose with and they can be used to contour your face as well. As you can see in the image, 09 is a light beige color that can be used as highlighter. Outline has 19 shades for you to play along with the colors. 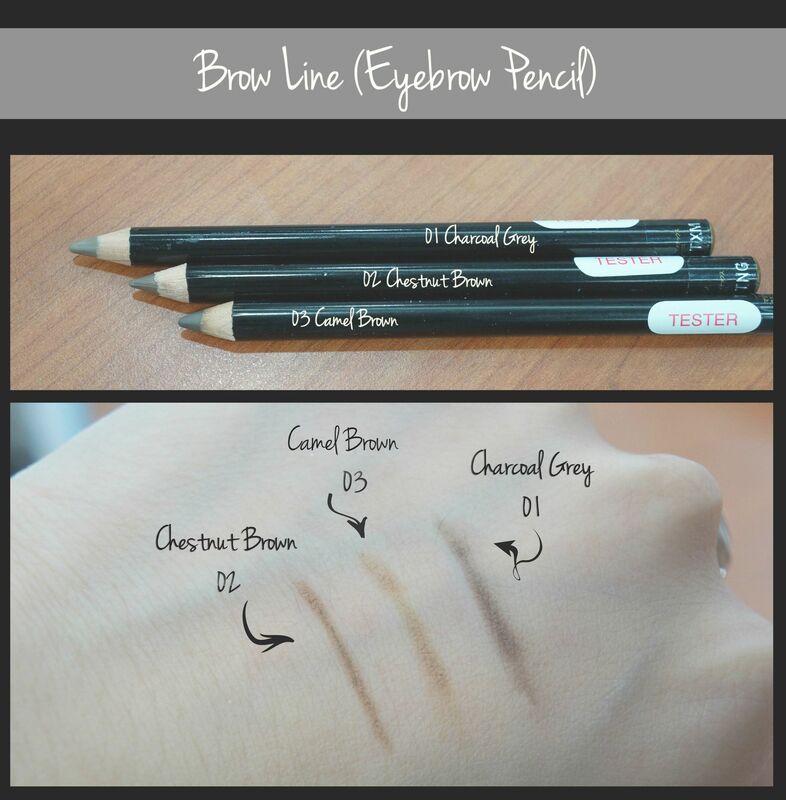 It can be used as lip liner as well. The best part of this eyeliner is it waterproof feature and resistance towards tears and perspiration. This eyeliner will save your from smudging. There isn't a lot of people dare to put on colored mascaras for daily makeup. But then, you should make yourself look wild with different colors! 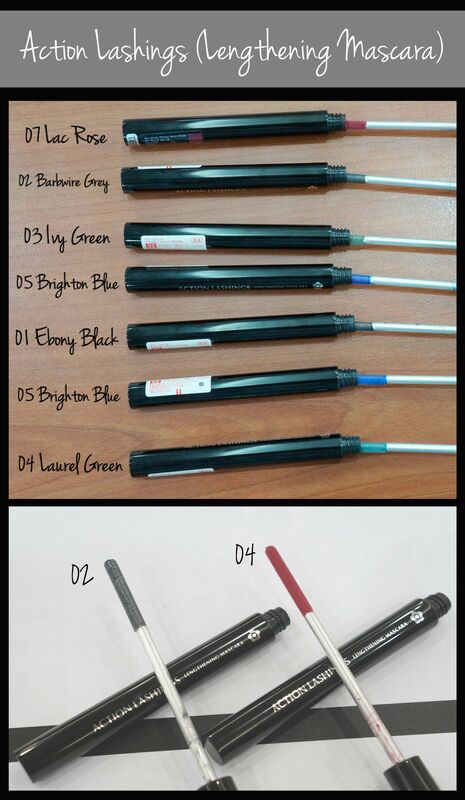 There are a total of 7 shades of mascaras by Mary Quant. The speciality of this mascara is its two-sided Coil and Chip Brush. One side has short raised bristles and the Oil Gel Formula on the other side helps to make longer lashes. Need not to worry about the color faded factor, this mascara has "Anti color-fading" and waterproof effects. Cracked lips is a big no no in lip makeup. You wouldn't look good if you have a pair of cracked lips even they are well colored. Remember to moisturize your lips with lip balm or lip treatment before you apply lip colors. Lip Bouncer plumps the lips and acts as a base for lipstick. 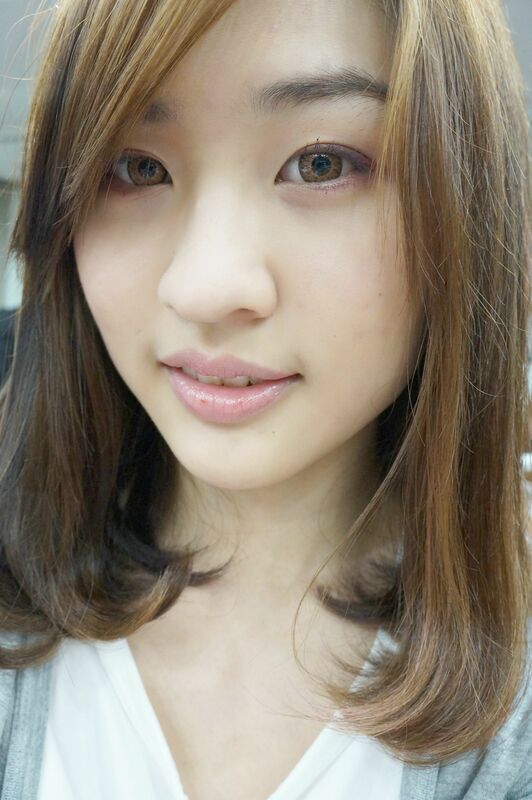 Here's an advise for you: If you have heavy eye makeup, finish your makeup with light lip color and vice-versa. Let others ease their eyes on choosing the focus point: the eyes or the lips. Well, you can always do a gradient lip makeup with two different lip colors. Finishes the lip makeup by dabbing a little on the center of your upper lips. Press against the lips and wala! You are done with the makeup! Someone, please lend me your makeup skills. 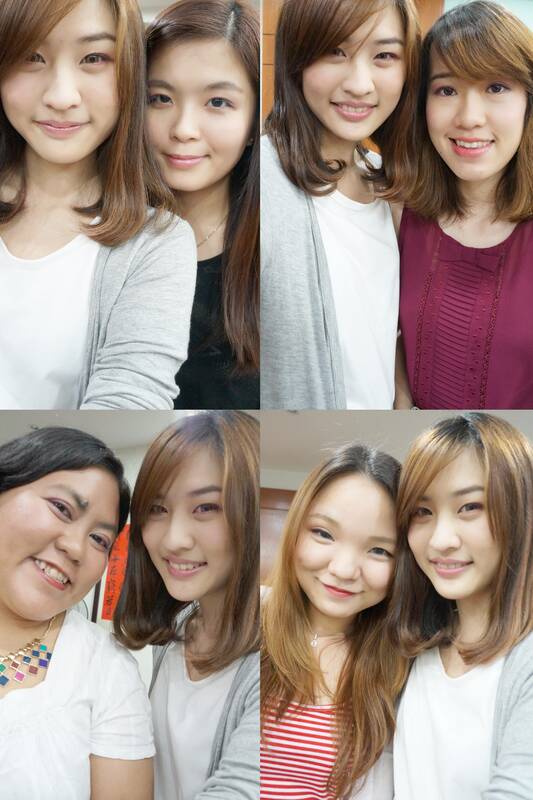 So when you meet your friends, the first thing you would do is selfie. And the next second you know, you took tons of selfies. Ending my post with Don. I have no idea when was the last time we met ._. Thank you for having me at the Workshop!